IMPERIAL – Gliders, bridges and prosthetic arms were in the air and in use at the Southern California Junior Regional MESA Day competition at Imperial Valley College here Saturday. Hundreds of middle-school students from the southern region of the state traveled to IVC with the hopes of seeing their respective projects place in the top three spots. 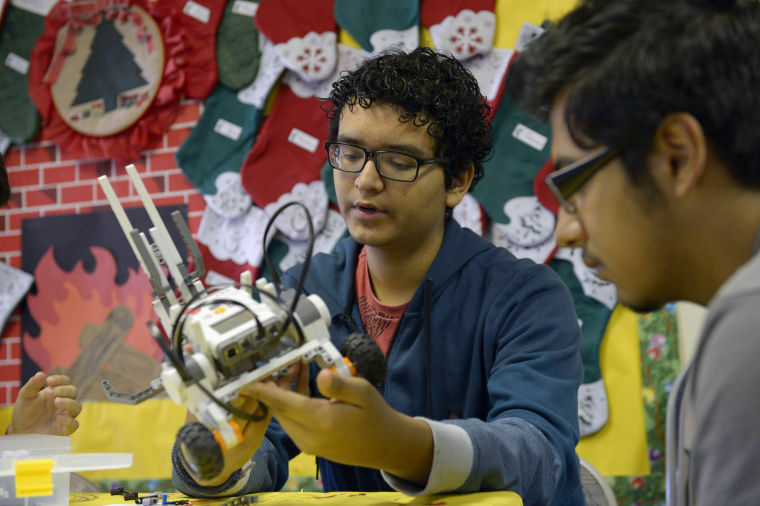 MESA, or Mathematics Engineering Science Achievement, aims to develop academic and leadership skills, raise educational expectations and instill confidence in the state’s students, according to its website. IMPERIAL — Aside from the wealth of information they found on the Internet about prosthetic arms, Holtville Middle School eighth-grader Eli Romo also had access to one. Because of the help this physical aid provided, Eli and his fellow team members were able to design one they felt made them MESA Day contenders. Although the team had to scrap three prior models, its fourth design was able to perform the required tasks during the competition to a satisfactory level.